In japanischen Großstädten, in denen Wohnraum sehr knapp ist, entstehen platzsparende, multifunktionale Neuinterpretationen von Alltagsprodukten. Die Schalenserie „fitted space“ greift das Thema Platzmangel und Multifunktionalität in Japan und Deutschland auf und überträgt es auf den Esstisch. „fitted space“ orientiert sich dabei am traditionell japanischen „Futamono“, einer Schale mit Deckel, die für Suppen und Reisgerichte verwendet wird und deren Geschlossenheit Hitze und Aroma bewahrt. Durch zwei parallele Schnitte an der Seite wird die ineffiziente runde Form der klassischen Schale aufgehoben, ohne dabei das charakteristische Erscheinungsbild zu stören. Nun ist es möglich, die Schalen näher zusammenzustellen – sei es im Regal, auf dem Tisch oder auch im Kühlschrank: auf wenig Raum finden nun mehr Schalen Platz. Durch den multifunktionalen Deckel lassen sich die „fitted space“ Schalen auch hervorragend als Aufbewahrungsgefäß nutzen. Umgedreht dient der Deckel als Teller und die Schale wird zur Servierhaube. Lebensmittel werden leicht verschlossen – und platzsparend verstaut. Tokyo is the largest metropolitan area in the world. More than 38 million people live on limited space and experience the necessity for saving space daily. Kitchens are used as desks after little transformation; showerheads connected to the regular sink turn toilets into bathrooms; and waste water from washing hands then fills the toilet flushing. Japan has created a culture of multifunctionality and space efficiency that even spread from the megacities to smaller towns where space is not too scarce. 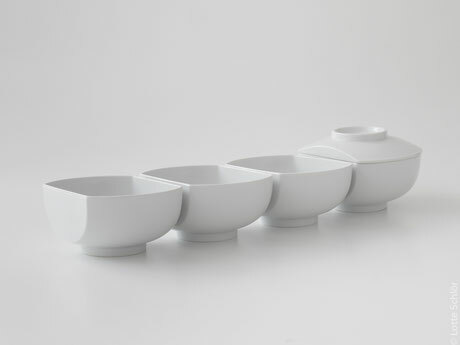 During my stay in Japan I was fascinated by the hands-on Japanese solutions to save space in the apartment and decided to adapt a so-far little efficient tableware item: the Domburi bowl. 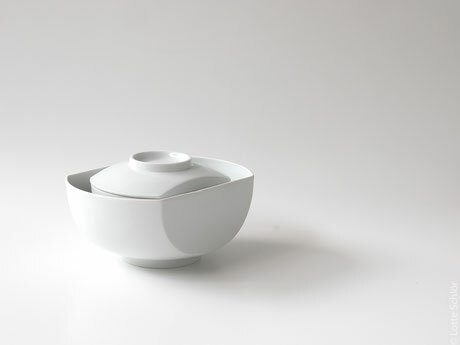 My bowl series fitted space was first inspired by traditional Japanese “Futamono”, a bowl with lid used for soups and rice dishes. 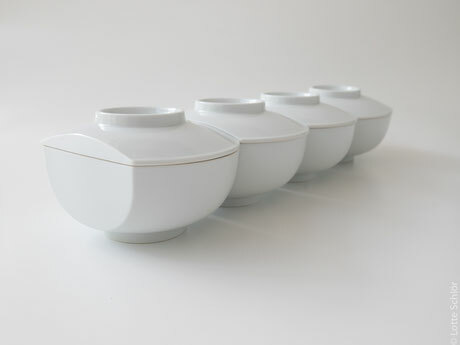 The lid keeps heat and flavours inside the bowl. 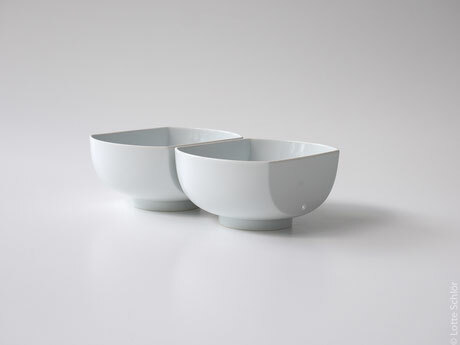 The traditional base gives it a typically Japanese style. 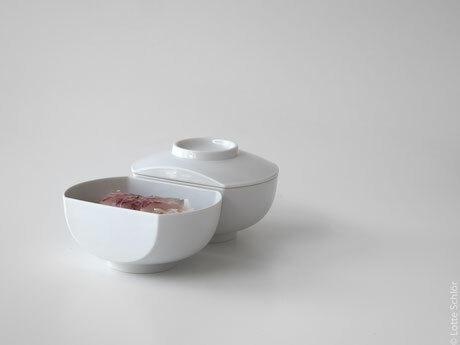 I redesigned the “Futamono” by cutting of two parallel sides of the bowl. With that intervention, fitted space loses its space inefficient round shape and can now be better stored in small flats, houses, and kitchen. 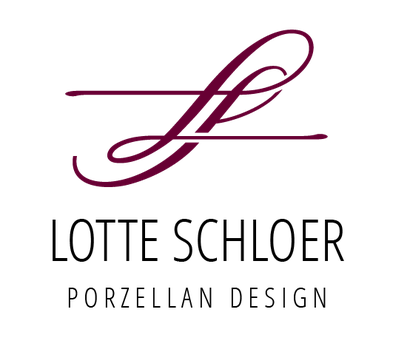 Cutting of the side, reduces the filling capacity only a little but increases its storage ability when putting them closer together on the shelf, table, or in the fridge. 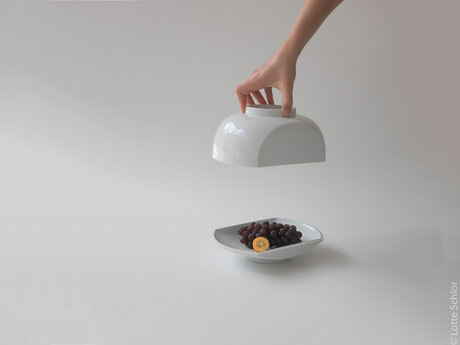 Futhermore, the Lid can be used as a plate, and the bowl can cover the plate. With thoes functions fitted space is not only useful for the table or to serve dishes but also to store food (in the fridge). Every person can find its individual use for fitted space.